Hanuman Chalisa Yantra has a very great importance in our mythology. It is believed one who recites Hanuman Chalisa with full devotion and pure heart, shri hanuman himself appears and bless his devotee. In fact, Hanuman Chalisa in itself is the tangible representation of Lord Hanuman that helps you harbor good health and success in your life. It keeps you away from all the evil and help you fight all the ailments in your body. It takes away all your miseries and blesses you with immense happiness. Hanuman Darshan Locket Yantra unlike any other usual jewellery is a unique pendant powered with Hanuman Ji’s blessings. 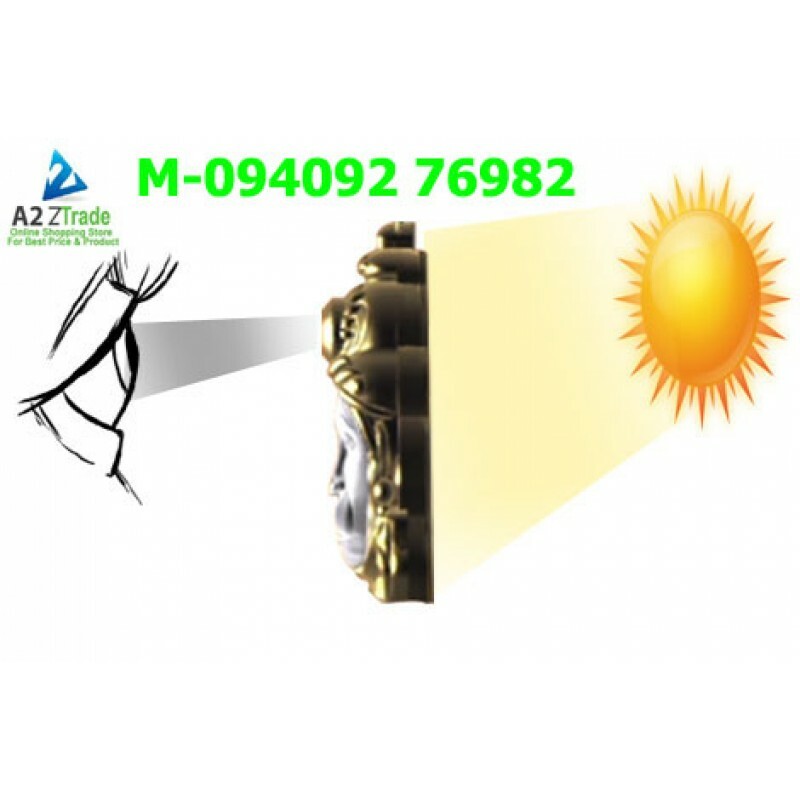 This unique pendant is that works as a Suraksha Kavach for its bearer and provide full safety against all the evil. 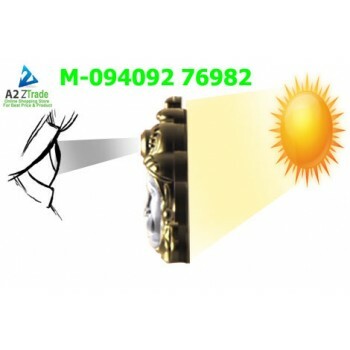 The Yantra is manufactured using European cutting edge technology and shows the wonderful effect in your daily life. 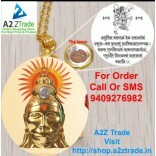 The pendant is written with Hanuman Chalisa in the legible format. Thus, the pendant will always remind you to memorize lord ne it anywhere you are! The divine power and religious beliefs play a vital role in the overall well being of an individual’s life. One of the most powerful tools of feeling connected to the almighty is the recitation of Hanuman Chalisa. This mantra has the power to rejuvenate one spiritually and is one of the most powerful Hindu mantras, which can alleviate any unrelenting or unforeseen situation. Thus, today, there are many powerful devices or “Yantras” available, which help in easy access of this mantra. What is Hanuman Chalisa Yantra? Hanuman Ji is believed to be the Lord who blesses his devotees the power to fight evil forces. The Bajranbali, Hanuman Ji, Pavan Putra or the Anjaneya is the ultimate protector who blesses his genuine devotees with profound happiness and success. Hanumanji was a zealous devotee of Lord Rama and played a pivotal role in the epic of Ramayana. This Hanuman Chalisa Yantra, includes the image of Hanuman Ji along with the Hanuman Chalisa. It has a pendant, which when worn with strong belief serves as one of the most important devices that saves an individual from all evil or bad omen. The pendant is gold plated, has a Hanuman Raksha Kavach imprinted on the back that helps one to achieve peace of mind and flourish in life by eradicating all obstacles or hurdles. The Hanuman Chalisa is available in a miniature format, which can be easily read and recited and can be carried along in one’s pocket or purse. Order Hanuman Chalisha Yantra @ Rs. 2950/- Only. 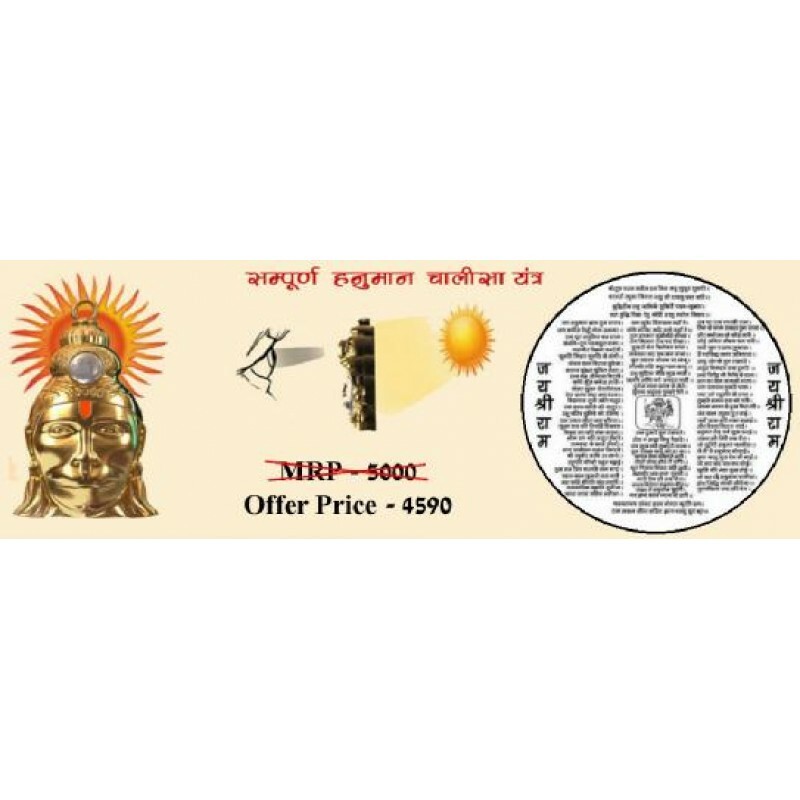 Hanuman Chalisa Yantra is the smallest available Hanuman Chalisa in the form of a pendant. 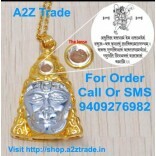 It is a quality devotional pendant which is created with the objective of praying Hanumanji anytime. 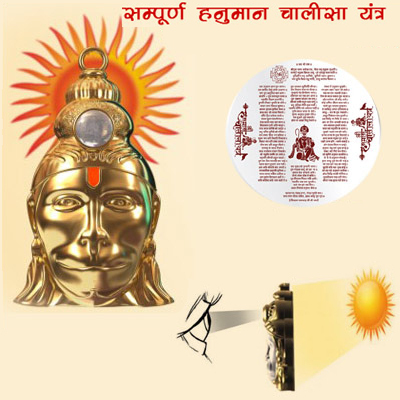 Shri Hanuman Chalisa Yantra has been created after the years of research by the designers in Europe. 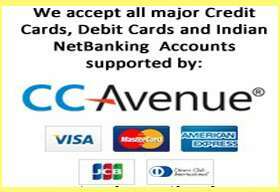 It is endorsed by the well known socialist, an author of “Life Management” - Pandit Vijay Shankar Mehta ji. The yantra comprises of a hanuman pendant has been very well conceived and accepted by the devotees from all around the world. Keeping this tiny pendant close to your heart in the form of Hanumanji’s blessings is the main idea for its development.Why should one have the Yantra?